I’ve never seen so much history come from one creek. I’ve also never seen such artifacts that are more art, in fact. 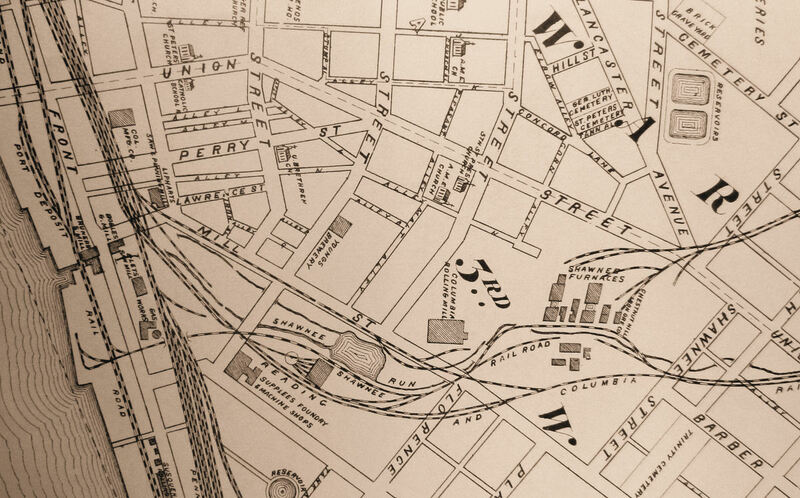 An 1875 map of Columbia, Pennsylvania, clearly showing the furnaces, Shawnee Run Creek, and all the railroads. 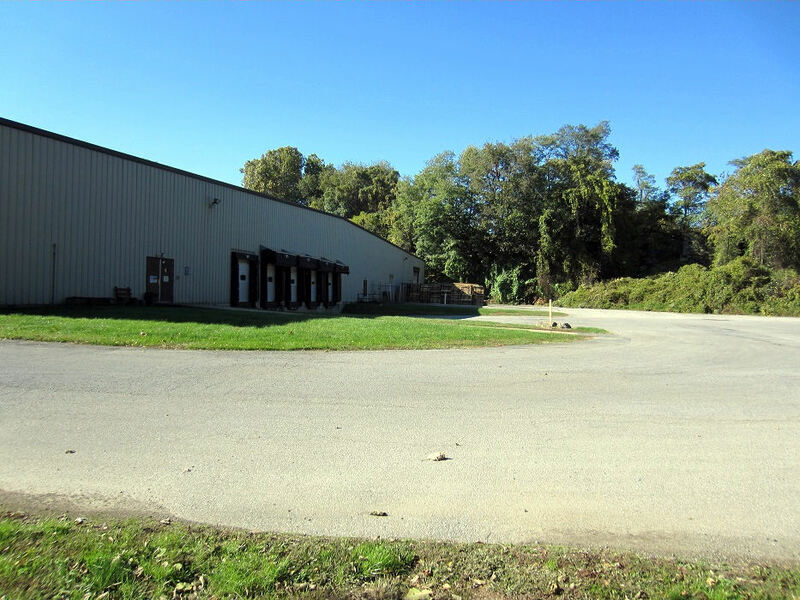 Interesting to note; the Shawnee Chestnut Iron Ore Company also owned the Columbia Rolling Mill. To the left is the Susquehanna River. Shawnee Run began as an article, but never ended. (See article, Walkin’ Shawnee Run, June 2013,) It became inevitable that Shawnee Run would evolve into its own category. 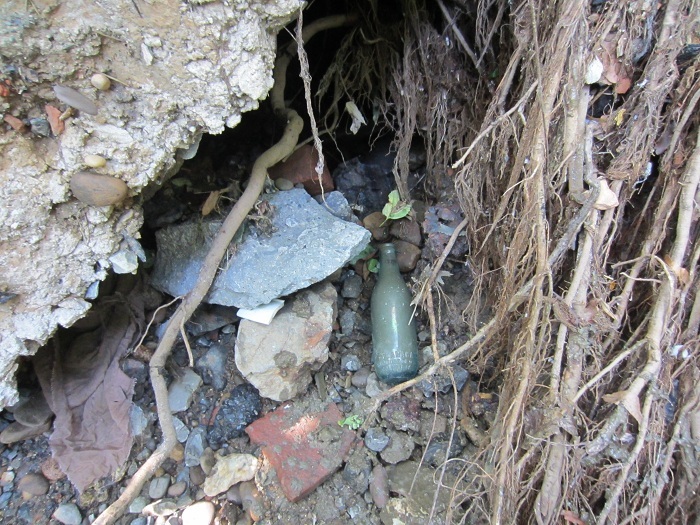 It’s ongoing, from the ancient furnace remains, the dumps along the creek, to the artifacts in the creek. It’s always going to be one of my favorite summer haunts. 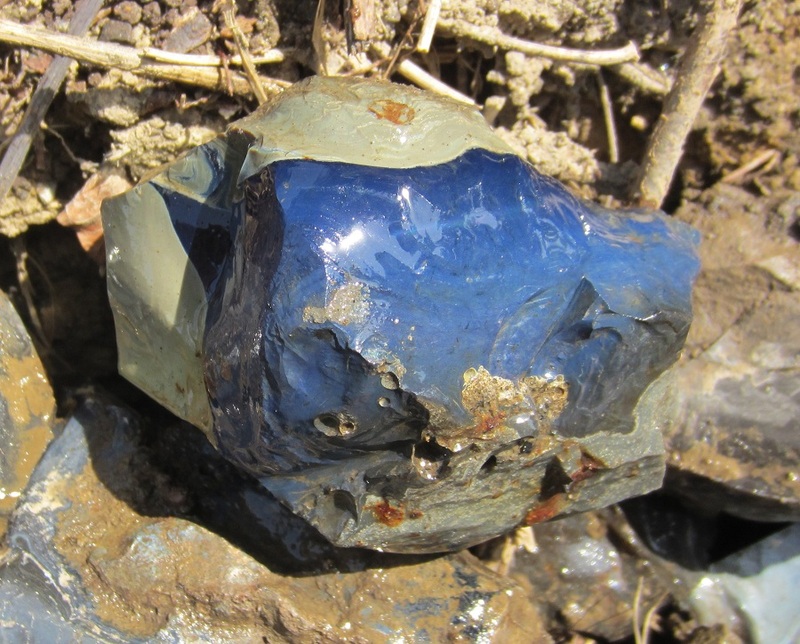 The finds after a heavy rainfall are amazing and don’t even try to guess what you’ll stumble across next. The history of Shawnee Run name goes to the 1700’s and was named after the Shawnee who lived along it. Add an 1844-94 iron blast furnace and all the 1800’s neighborhood and residential dumps all along it since and you are in for some real historical treats. This is one category that will always be updated. 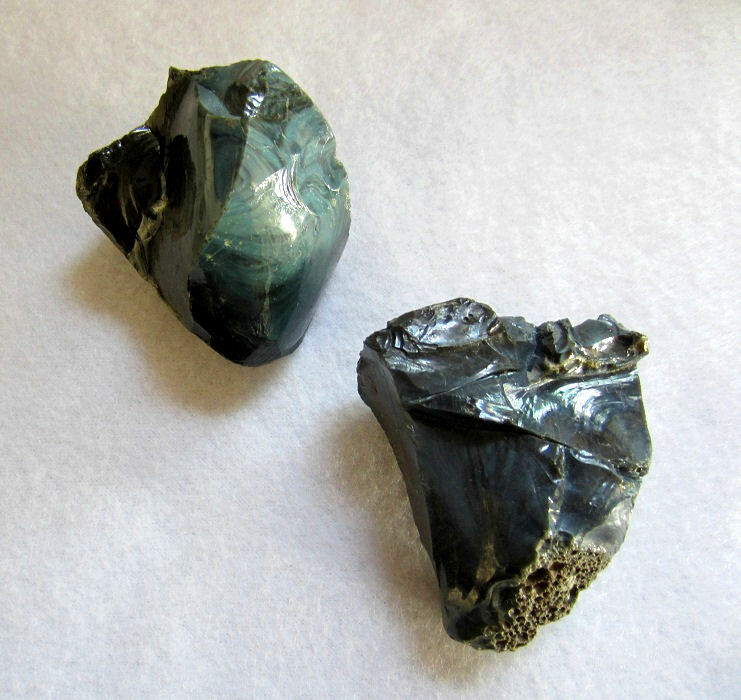 The finds from the Shawnee Chestnut Hill Iron Ore Company 1844-1894, are amazing. 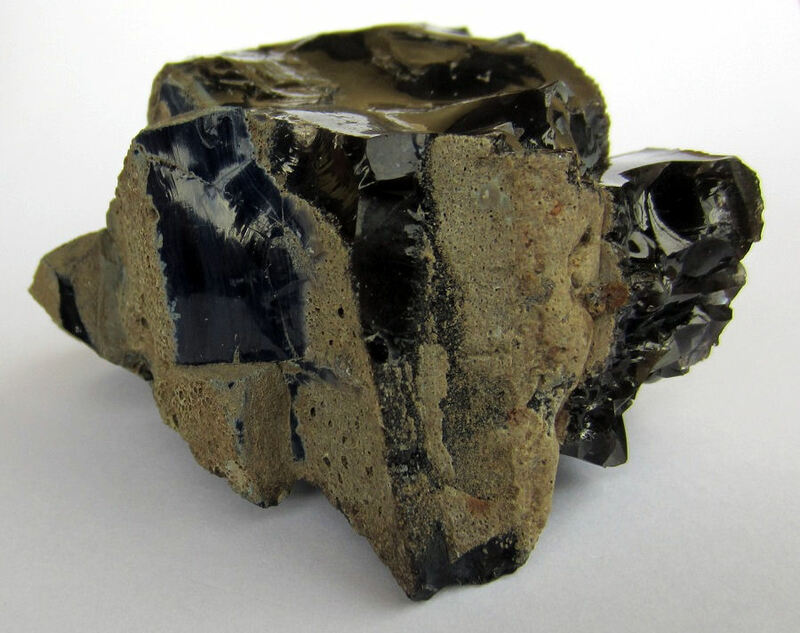 From what’s literally falling out of the bank dumps to the beautiful waste product of once molten glass, to the slag iron and finished items, (the furnace works dumped stuff everywhere,) it’s never ending. Some artifacts feature very amazing art and take on the character and appearance of, well, you just never know. So you can visualize how all the pieces shown below came to be, all you have to know is very basic. 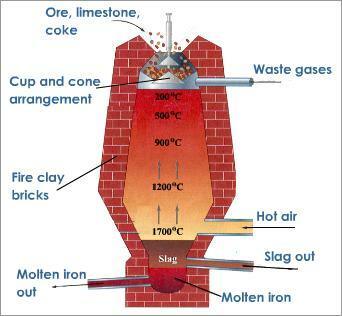 An early iron blast furnace is very simple, everything goes in together to be heated and separates. The blast stack is loaded from the top with coal, or coke, the fuel to create heat, iron ore, and limestone. 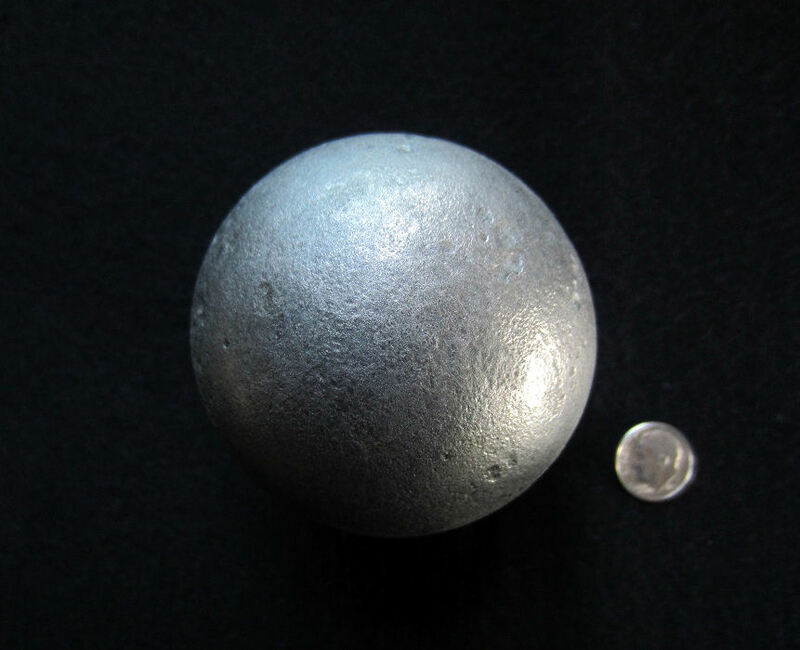 The limestone is added as a flux, or separator, so the heaviest, pure molten iron ends up at the bottom. 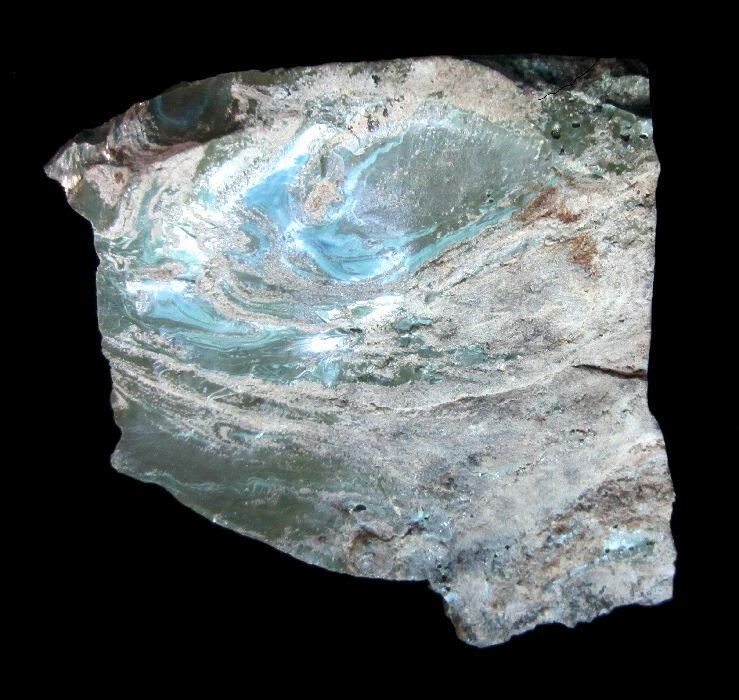 The pure molten iron poured out the very base, channelled into mold troughs in the sand, which, to the workers, looked like piglets at the teat, hence the name ‘pig iron.’ The limestone floated above the pure iron and was skimmed off; within it tons of rock that had melted that wasn’t iron, which resulted in glass. 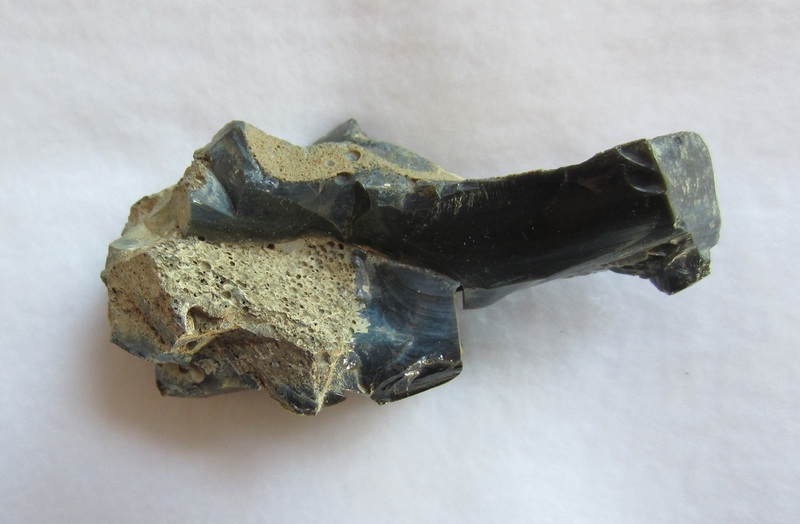 There was also tons of slag iron sloughed off as well. Below is a diagram of an 1840’s iron blast stack showing how simple it is. Want to see what’s left of that primitive process well over a hundred years later? 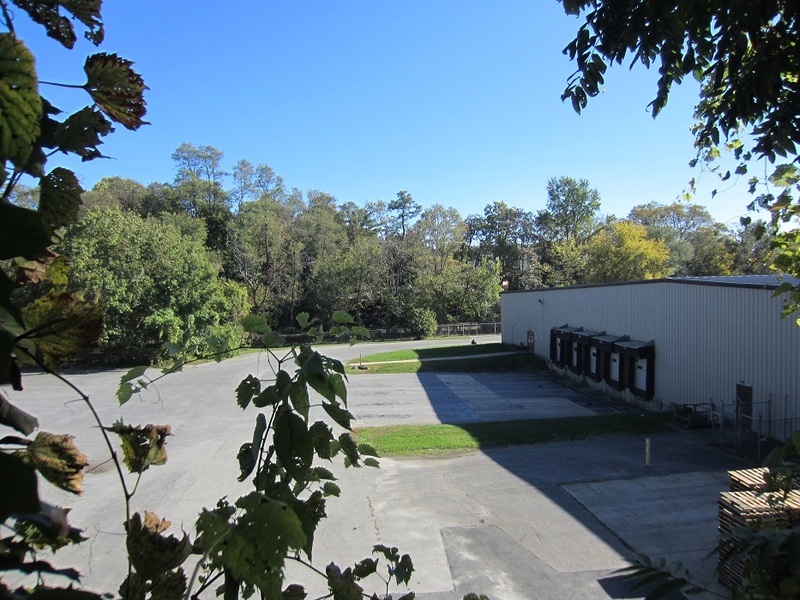 The same site now, on a long October summer day, 2013. 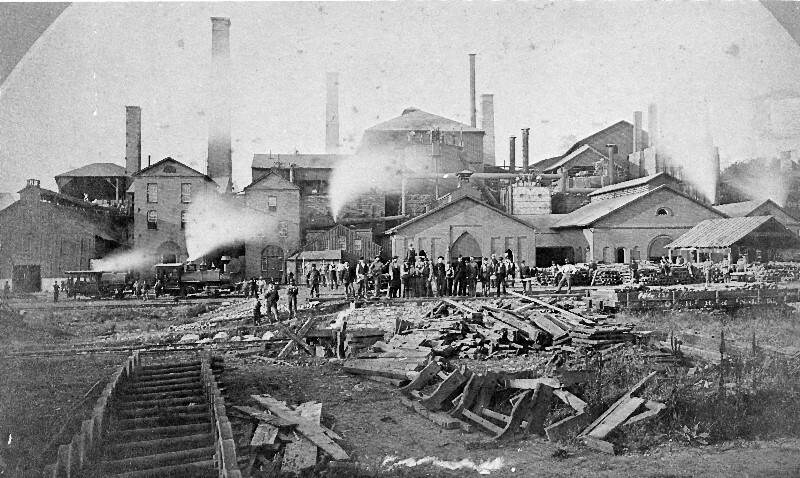 I’m facing west and a bit north but standing very near to where the locomotives were venting steam in 1885 photograph. The creek is behind me. The bluffs rising up to Union Street it turns out, include much more than the trees. This photograph was taken through a barb wire topped fence. I can only wonder what artifacts lie beneath that building and parking lot. 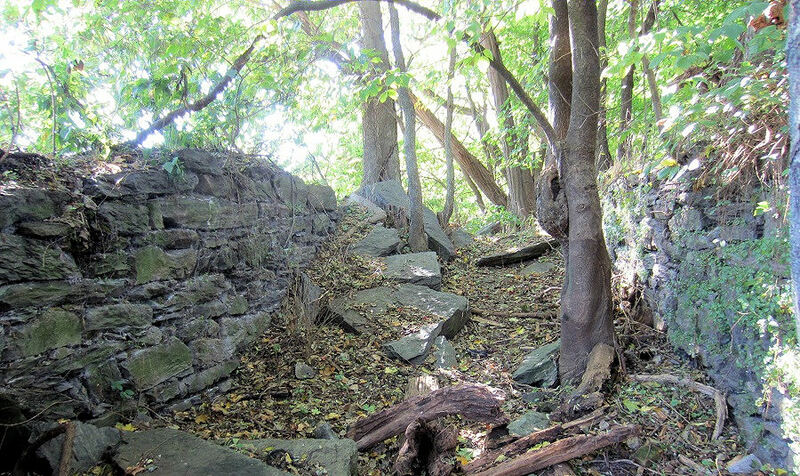 Zooming in, there’s what look to be remains of the 1840’s retaining walls. I think it’s time to travel closer and see what remains of the first original furnace. 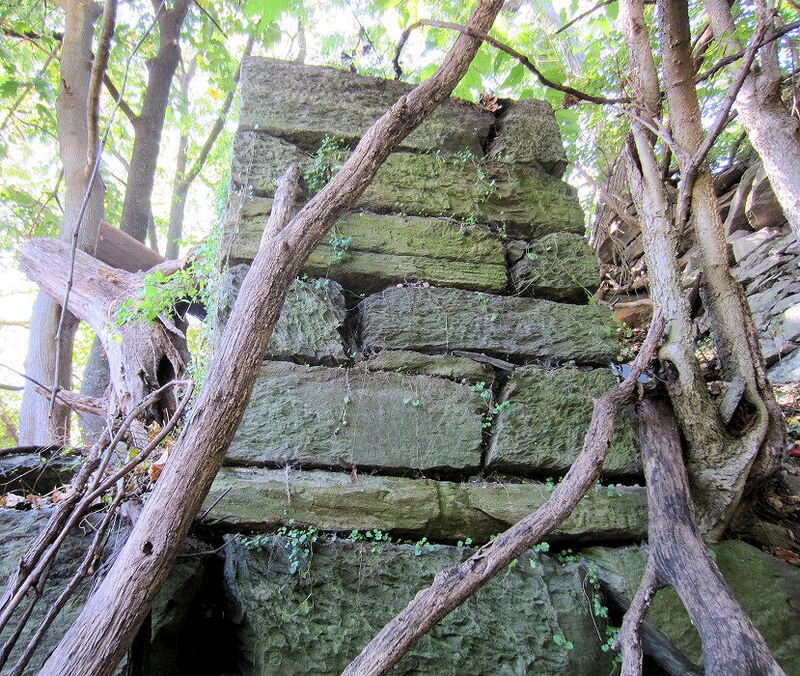 By walking along the bluff itself, I found I could simply walk right up to the ruins. Through a ‘create your own path’ along the steep bluffs, (a walking stick is a must,) this is what I saw first. 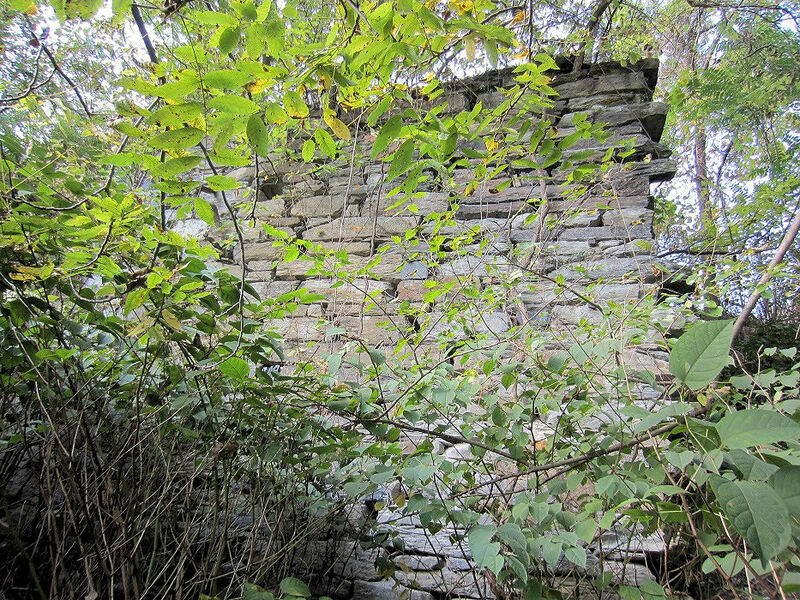 Continuing further, I found more than one wall, there were a hand full, and the whole ruins area ran a couple hundred feet. 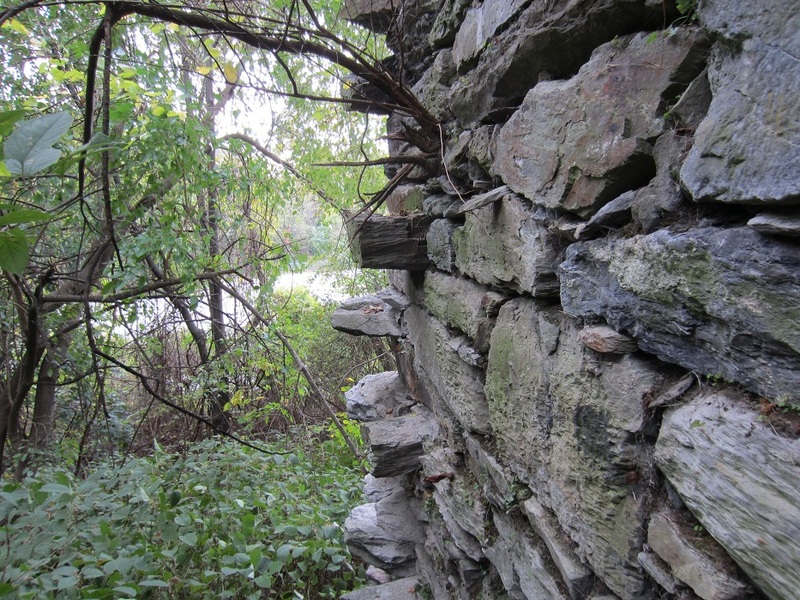 The same wall from both sides, the jutting stones are interesting. Standing high up on 1840’s structural walls on the Union Street bluffs, looking back at where the creek runs and where I took the first photograph. The main structures of the original furnace were close to even with the current building, which extends back quite a distance. 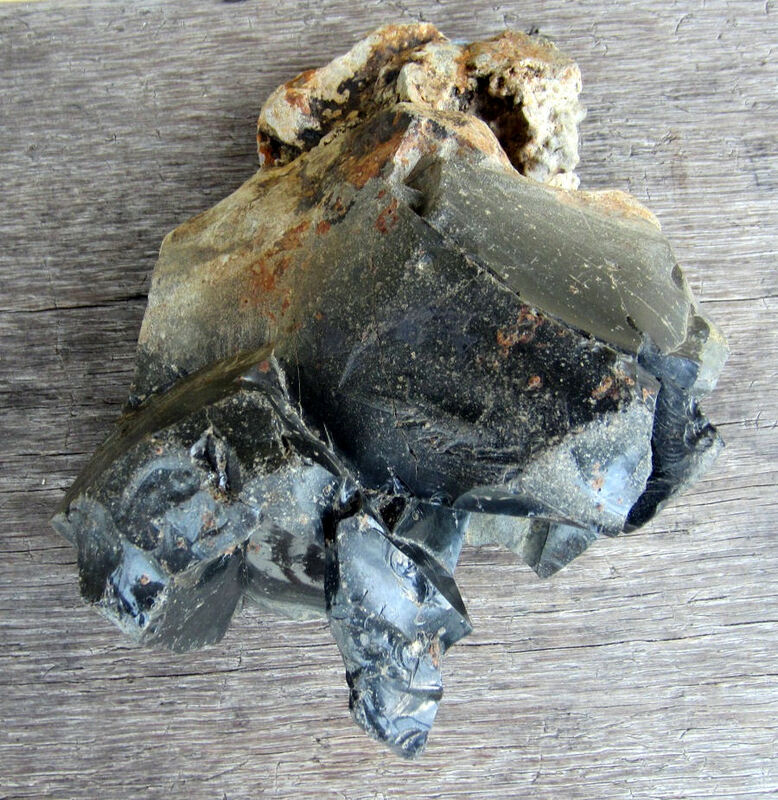 The woods here are thick with pieces of iron and glass, though most of the artifacts I found came from the creek area itself. 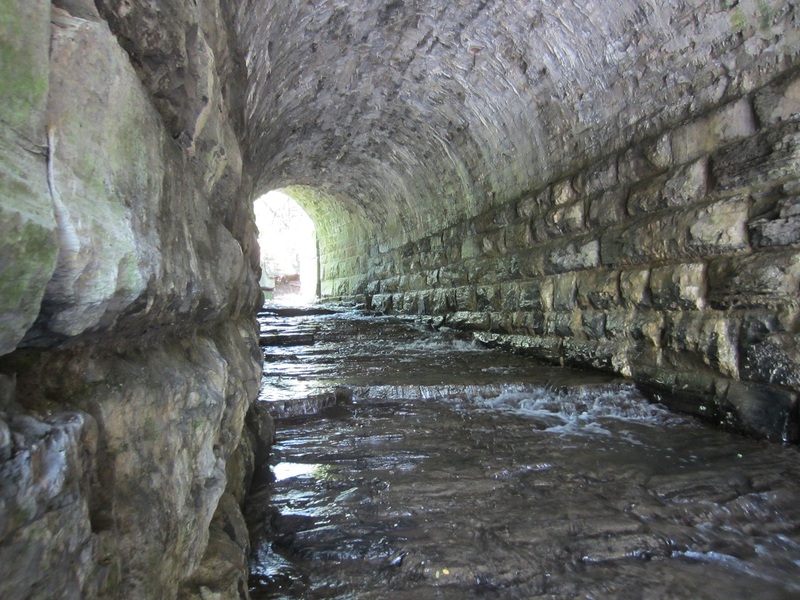 There are old dumps all along Shawnee Run and the original, earliest remains site was no exception. For some pictures, I had to move and pile modern trash out of the way. 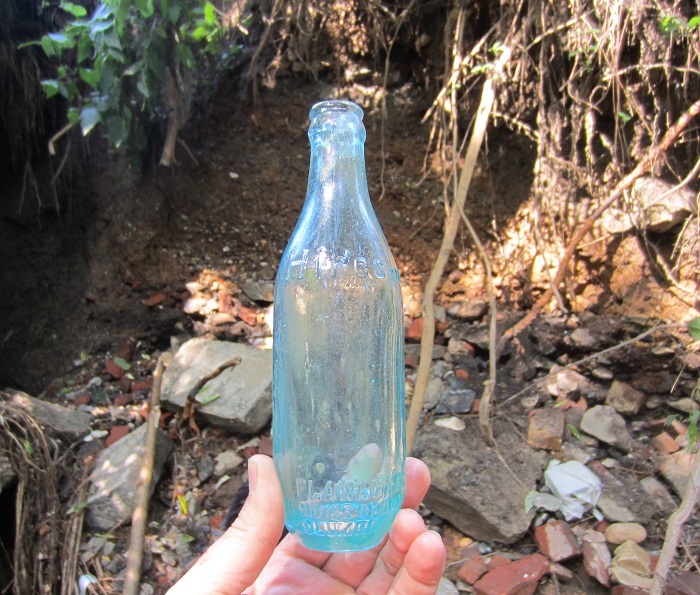 Some of the dumps I’ve found along Shawnee Run date back to the 1800’s. Very well laid stones, though the mortar has long turned to dust. These walls are here to stay. But there was more than just walls. The above ledge could have possibly been attached to the stack or load chute, due to its unusual shape. Above is an interesting long chamber, possibly used for drainage, or had some use for the furnace. 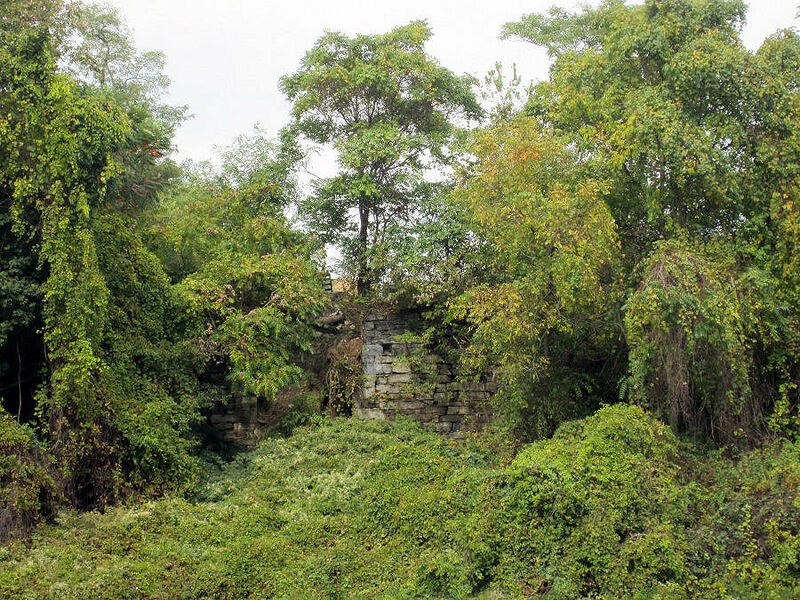 In the 1800’s, railroads ran all along the creek and the top of this bluff until all was removed at the turn of the century. By 1906, all the remaining block consisting of the furnace was purchased by the Pennsylvania Railroad. A chute of sorts is in the middle of this chamber on the high side of the bluffs. Age in action. Entrophy. 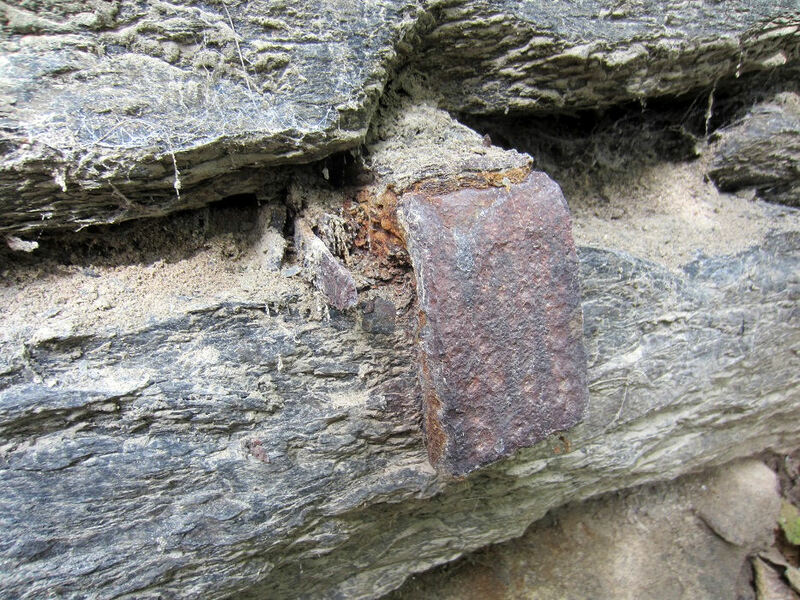 The mortar has an ash-like appearance and the iron fitting was much larger long ago. 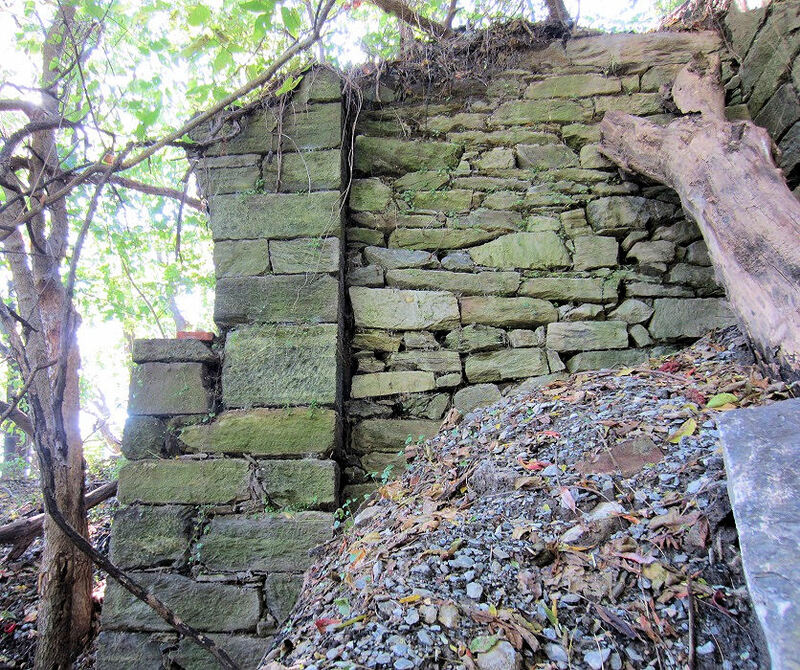 This retaining wall was the first structure to go up for the first stack to be built in the 1840’s. 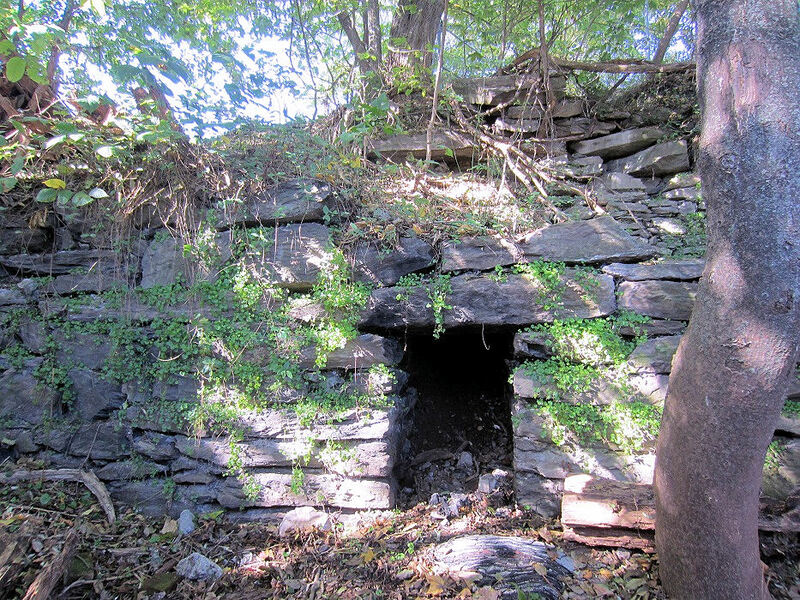 Shawnee Run itself is walled all along the furnace site. A stunner that simply fell out of tree roots I brushed my hand through. In situ, as it landed when I had my camera in my other hand. The colors are fantastic and what a ‘character’ piece of art this is. 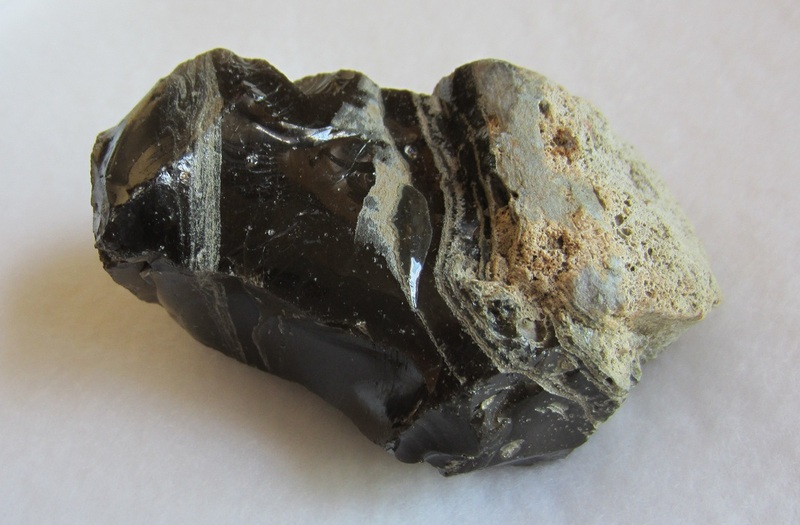 3″ x 2″ x 1″ I ran my walking stick through the roots, but nothing else but rocks and iron pieces fell out; this is what makes Shawnee Run so fascinating and keeps me hooked. Beautiful things just fall into your hand, but on their own terms. 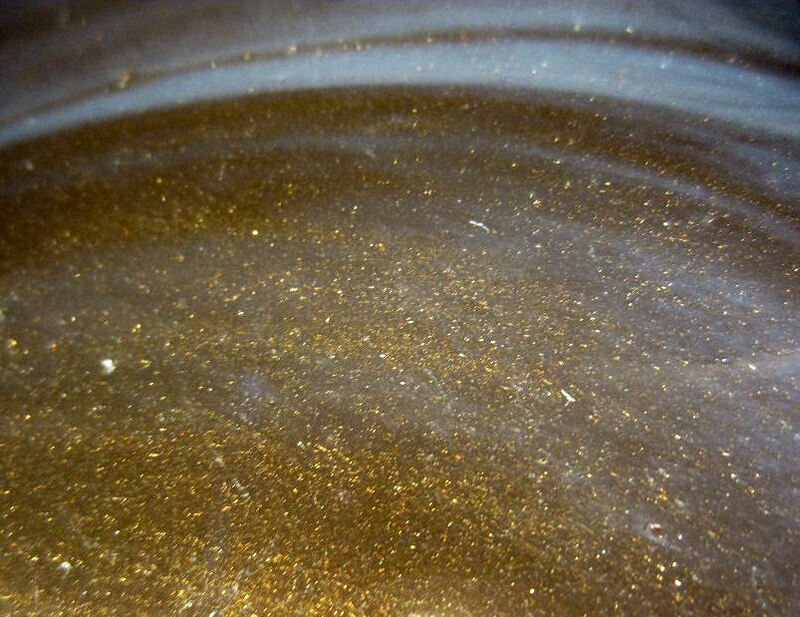 Below is a photograph of it cleaned. 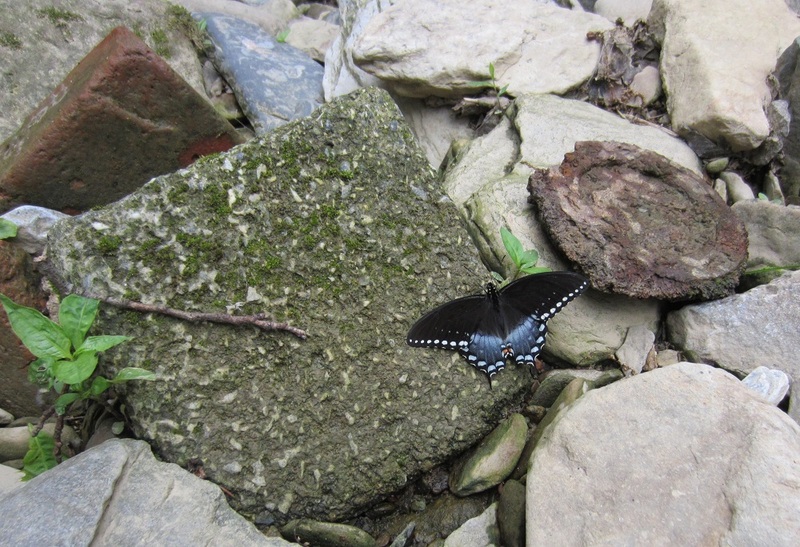 Both creek butterflys are beautiful. The old English term was ‘Flutterby,’ yet somehow since, it reversed. It’s a rare occasion for me to pick up something and have to acknowledge it’s a gorilla. 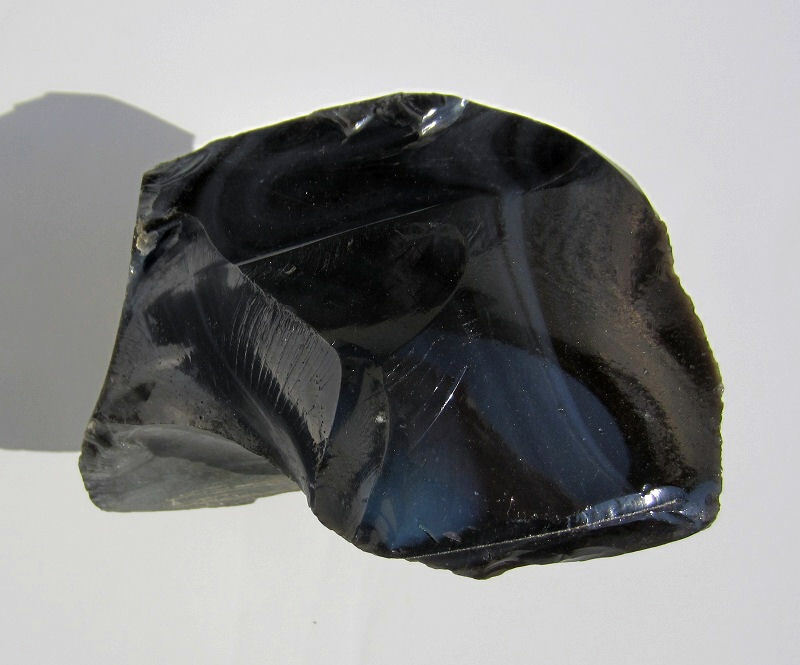 This is pure ebony colored 1800’s blast furnace glass, and it’s a gorilla. A nice size, 3″ x 2″ x 1.5.” It fills your hand with gorilla. Beautiful character, what’s amazing is that it’s not blue or green, that the color is exactly true for the gorilla, because it’s a gorilla. I’m ape over it. 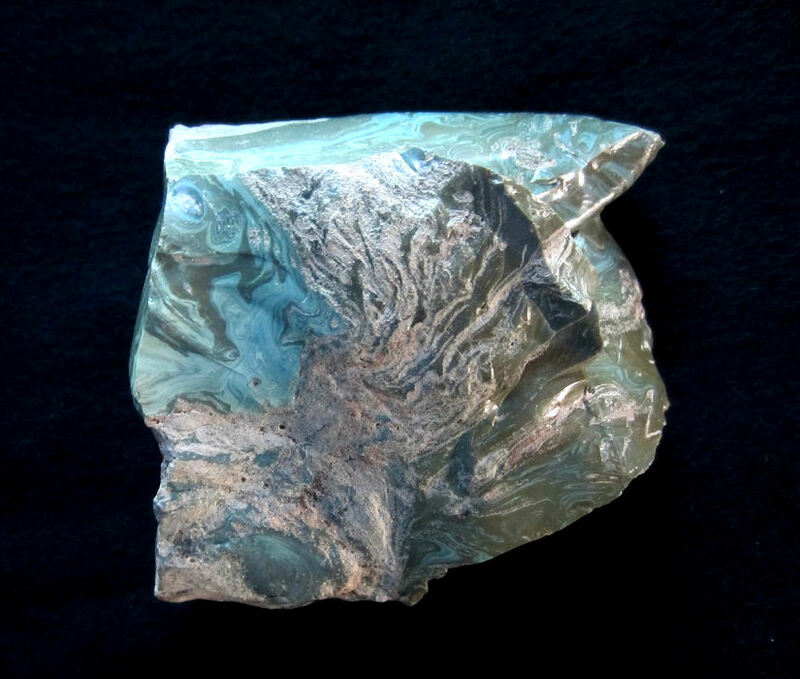 A most beautiful piece of 1800’s furnace glass in the form of a Old West horse’s head. The character and colors are like an artist’s painting. 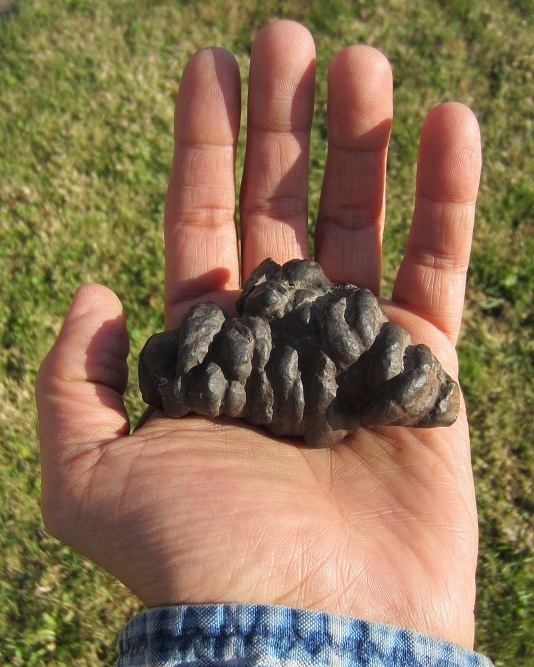 Sculpted by time and chance, this is a good sized Objet d’ art and is some 3″ across and 2″ high. From the sage green at the bottom to the eye, surrounded in layers from blue gray to green and all shades of brown, I will never see another horse quite like this. An absolute gem. The Greek faces of Comedy and Tragedy. The muse Thalia was the face of comedy and it was muse Melpomene, the face of tragedy. What I found so interesting was the happy face was found within a foot of the other. Below is a close up of these unintentional pieces of art. Each are about 3″ and this pair found together will always stay together. No doubt quite a happy face. The slightly offset wide mouth appears to be laughing and the eyes light up to match the laughter. 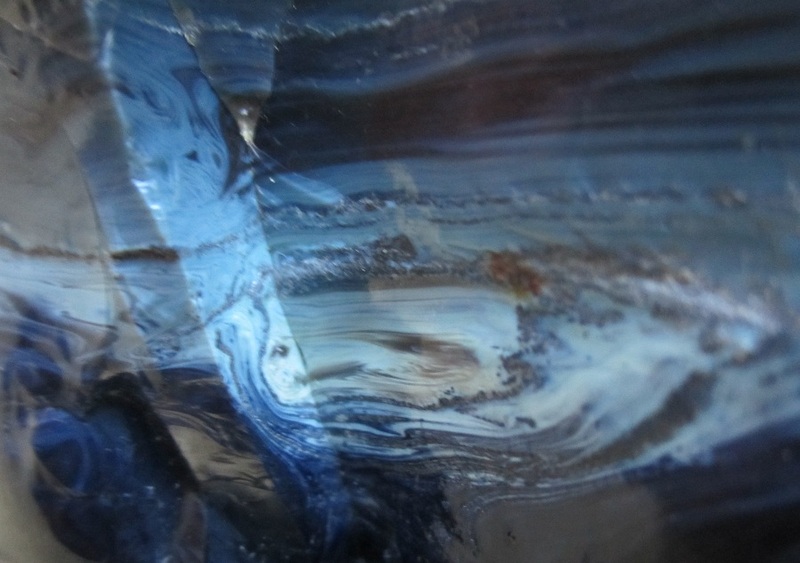 The tones of blue are unlike any I’ve seen and seem to only exist in this old once molten glass. A midnight blue face of tragedy. Melpomene is represented here in a stunning abstract expression of sadness. It still boggles my mind that this pair was found together. Shawnee Run will never cease to surprise me. A Bird? A Woman? And, Could it be Him? 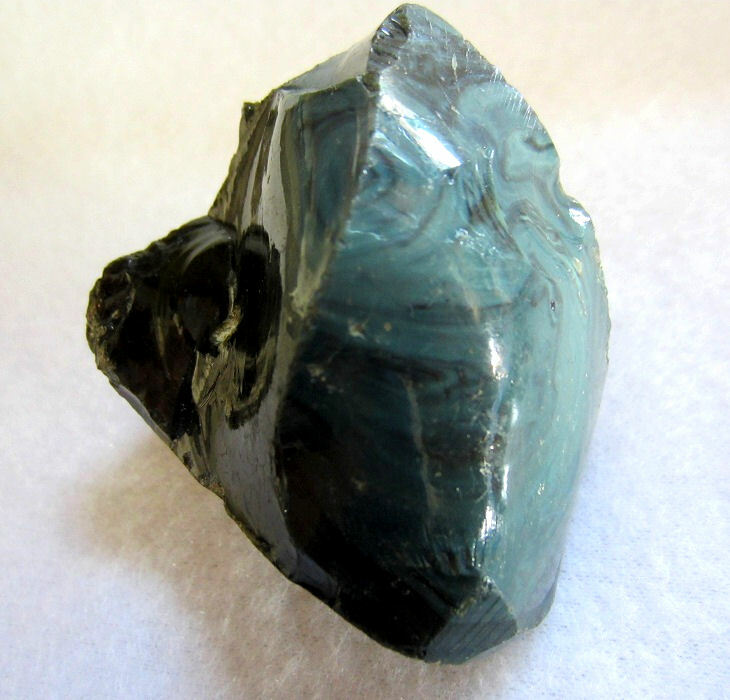 A large piece of glass and stone, from jade to sage green to turquiose and dark blue. This is a 5″ x 5″ by 3″ high favorite of mine and it has very curious scene in it. Shown above is the top. Shown below is a closer look at the scene of what appears to be a bird and a woman. 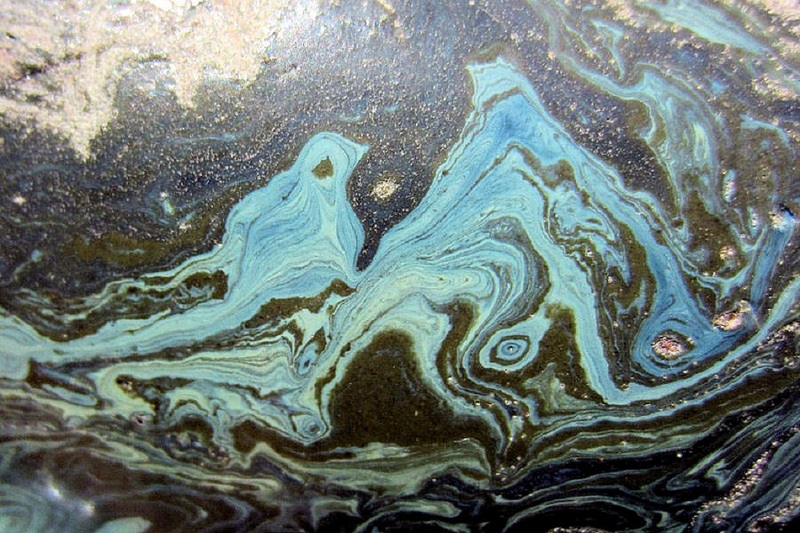 The base resembles a dinosaur head with a turquiose and green eye. I found this ‘same batch’ companion piece right next to it. It’s no grilled cheese or tortilla, but still, is it Him? This piece stands like a pedestal almost 3″ high and the very top has a most curious face. I love how this silly piece looks at you. The color and swirl of the glass is beautiful. A fun piece. There is an abstract portrait painting in my fathers house that reminds me of this. Interesting. 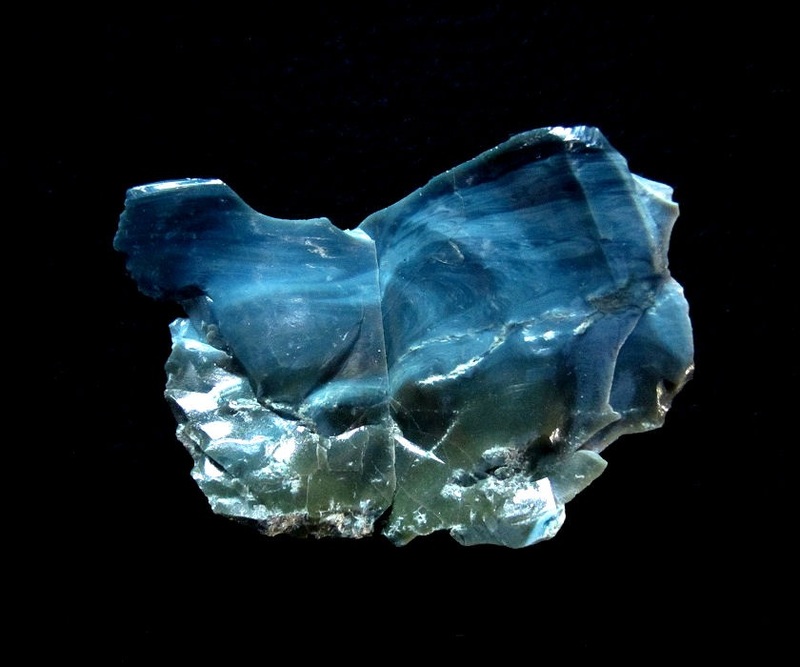 This is a piece I’d love to have cut and polished in a perfect square, as the light blue lightning bolt runs all the way around it. 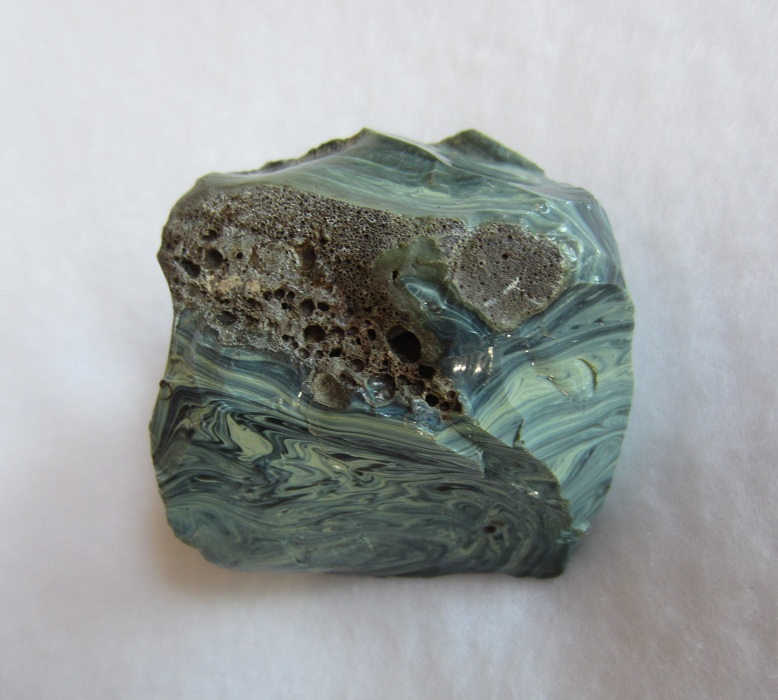 Measures 3″ x 2″ and is quite a beauty just as it is. 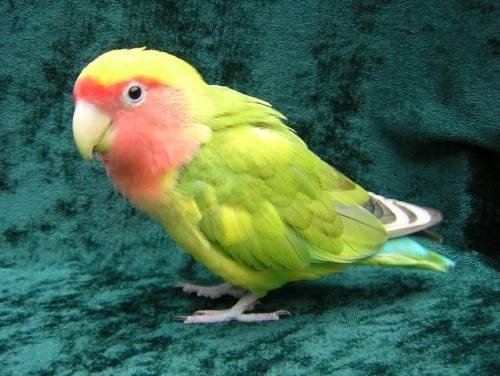 Drumsticks always did know how to pose for a picture. This was one of the first ‘Character’ pieces I found. Definitely a Pterodactyl. 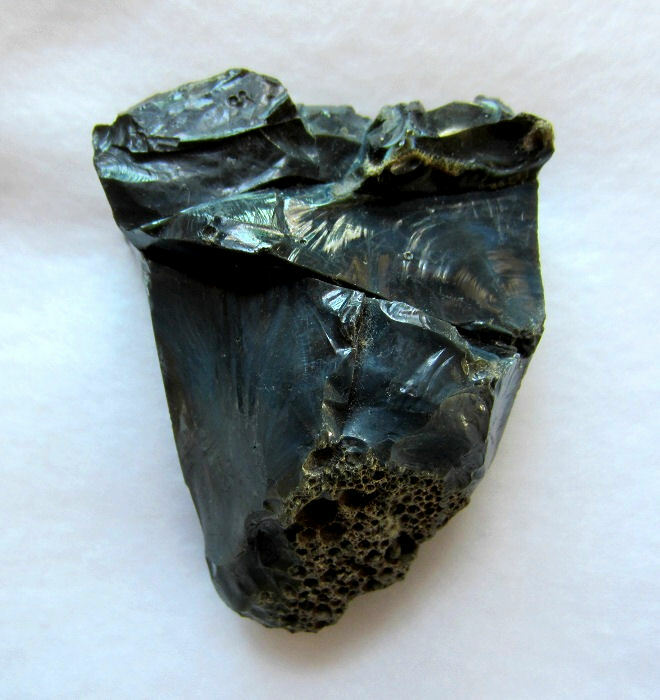 This prehistoric “Bird” is 9″ long by 7″ wide and 5″ high. 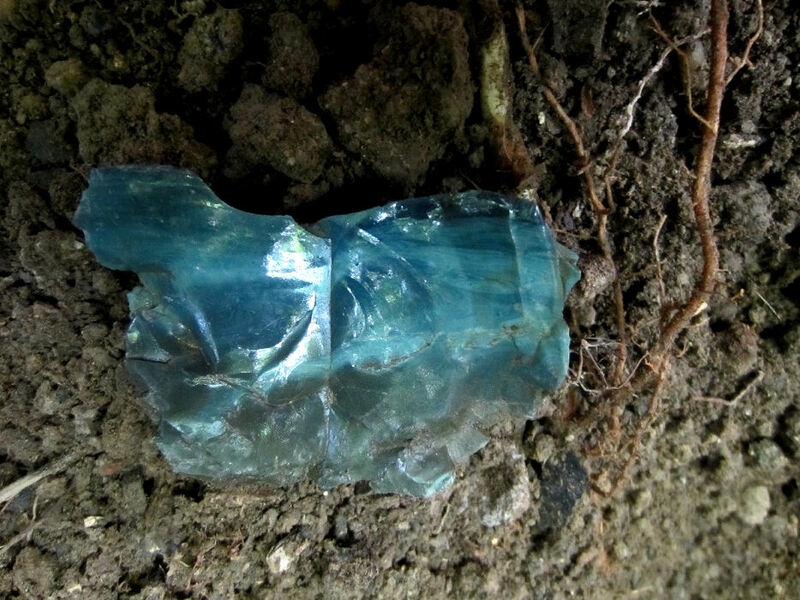 This piece is amazing, I saw a piece of blue at the base of a bank and then saw more sticking out up at eye level. 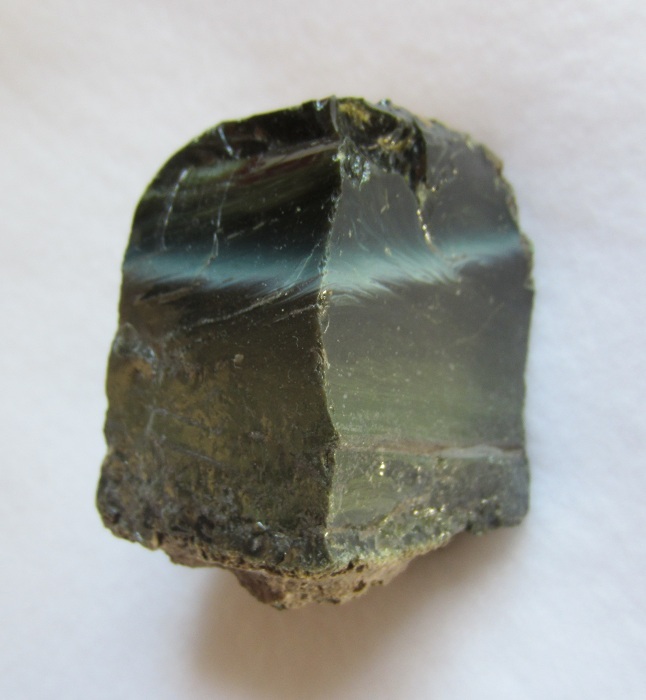 I simply pulled this out of a cluster of rock and glass. It is 6″ long by 4″ wide and almost 3″ thick. This “Whale” seems to have a face in it. This is the piece that led me to reach for the Whale piece. What a blue. The colors in the Shawnee Run glass are very striking. Could it be anything else? I love the abstract look and the blue eye and the brown one. 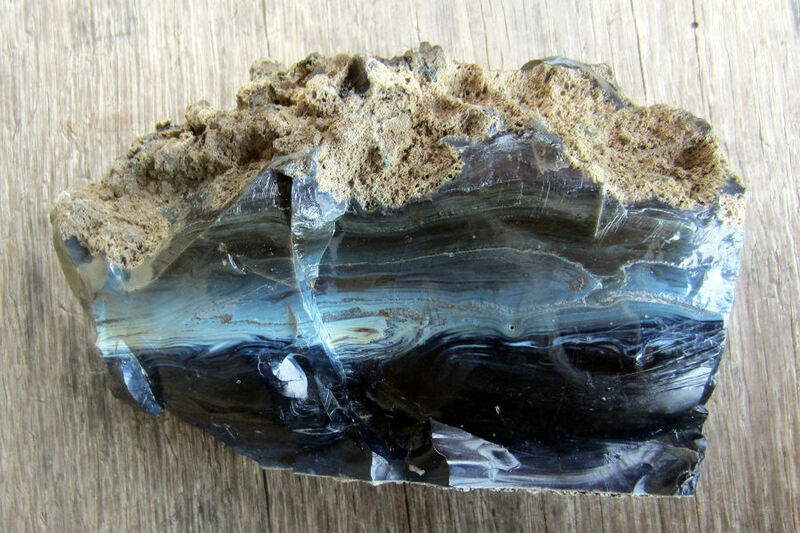 This was the artsy piece that got me hooked on collecting from Shawnee Run. 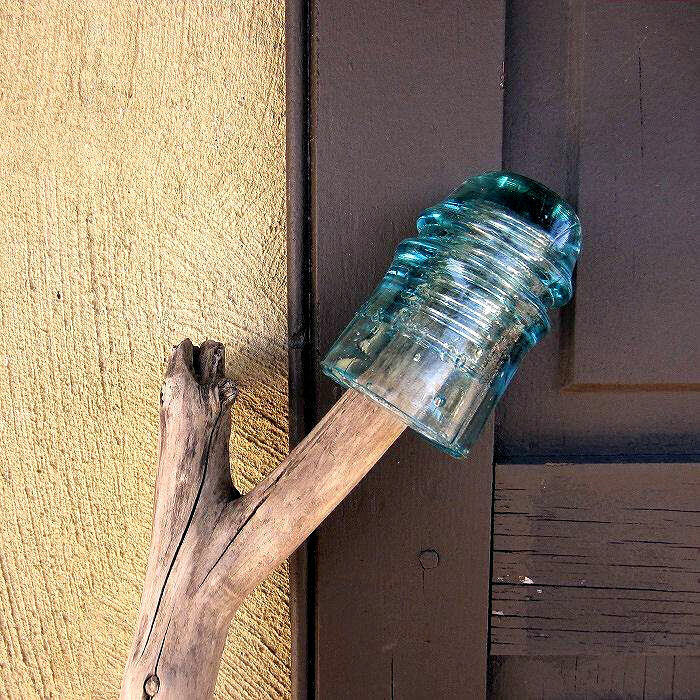 I’ve always loved old glass in many of its forms, but I’ve never seen the like of this. 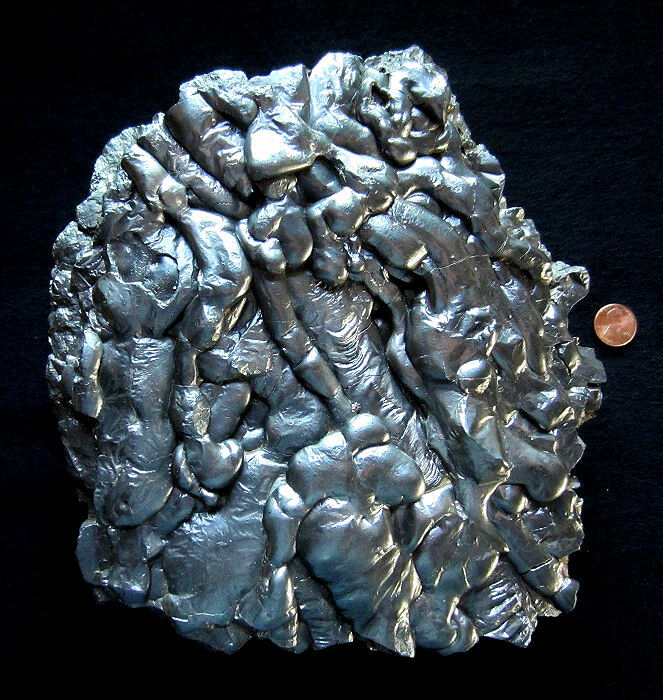 He’s big, almost 5″ long, by over 4″ wide and stands 3.5″ high. My absolute favorite piece and one of the first ones I found. There’s more than midnight blue with daytime sky blue running through it. The base where it’s still unmelted stone. 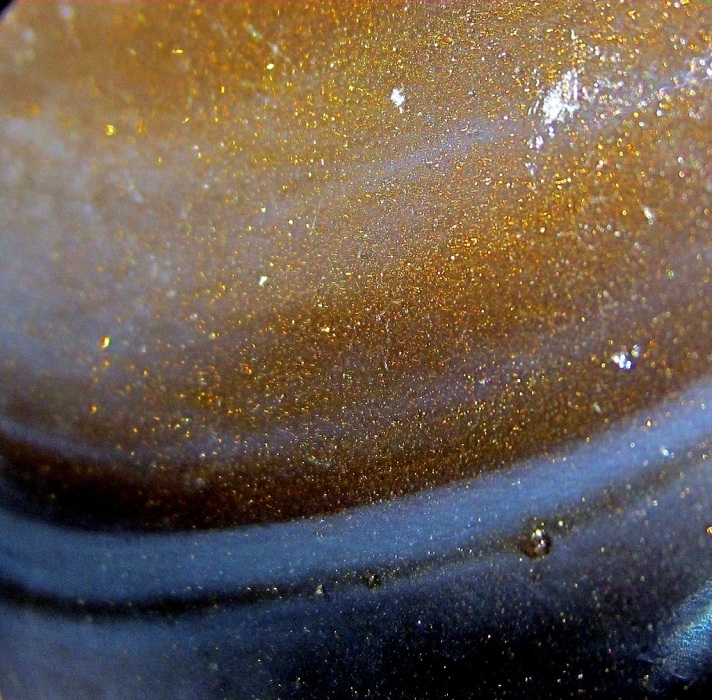 On the top, wherever there’s dark amber areas, it looks like something in outer space, a beautiful galaxy. There are real snakes at Shawnee Run too. 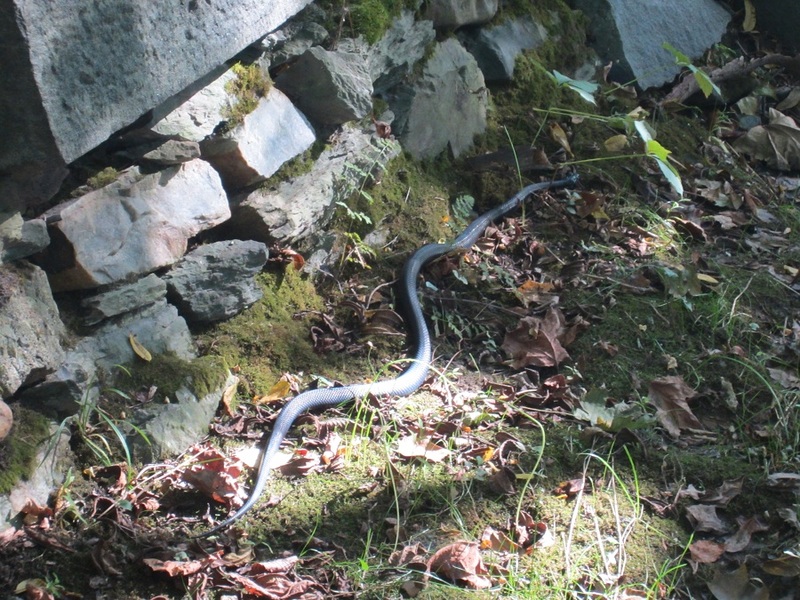 Here’s a 4 foot long Black Racer. I’ve seen many, just happened to catch this one with my camera. Snakes don’t get enough credit, they move so gracefully. 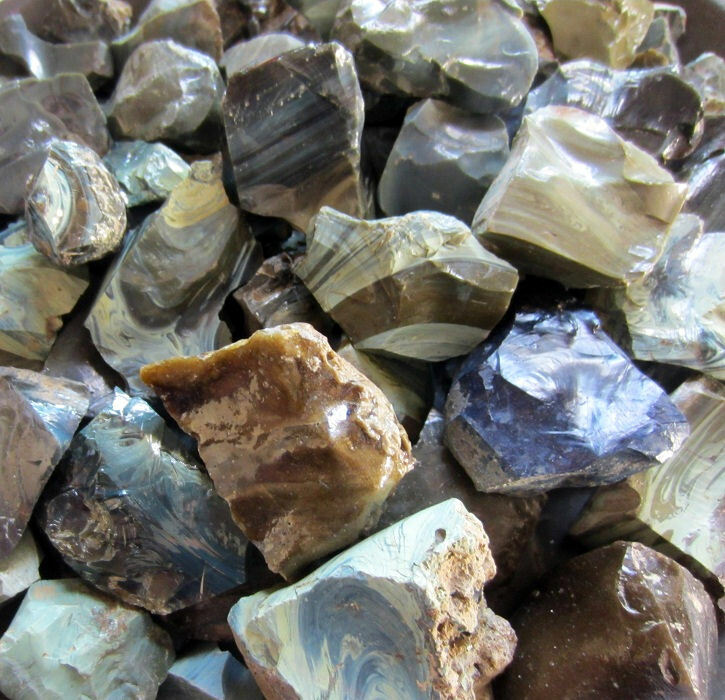 Although the photo’s a bit glary, the colors and patterns of glass from the early production of iron are endless. After a light brushing, it looks like the moon. It never saw battle, never made it to a battlefield, hence its title name. It’s very likely that this was comissioned for munitions for the Union Army during the Civil War. 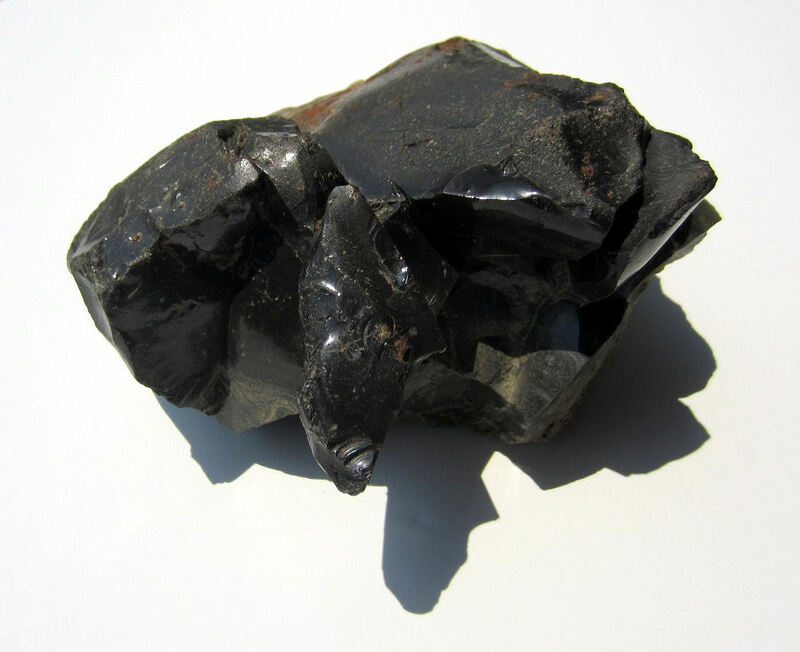 If an iron blast furnace could produce bar and cylindrical ingots, and likely their own parts if needed, then why not ammunition if the Army of the Potomac needed it. 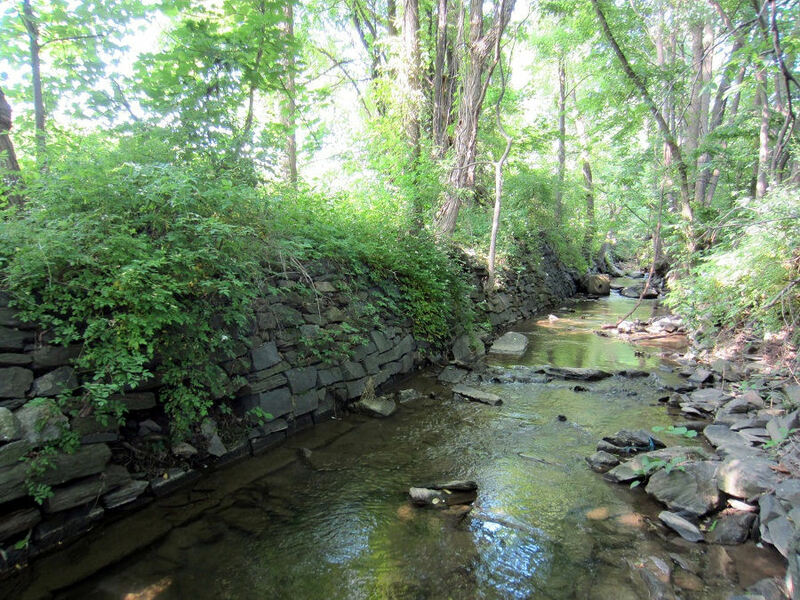 A finished iron product found in this creek is quite a rarity. It was a blast furnace’s job to create iron in bulk, a forge is where that bulk was shipped, and where everyday objects were made. There’s a lot more going on here than a can of soup. 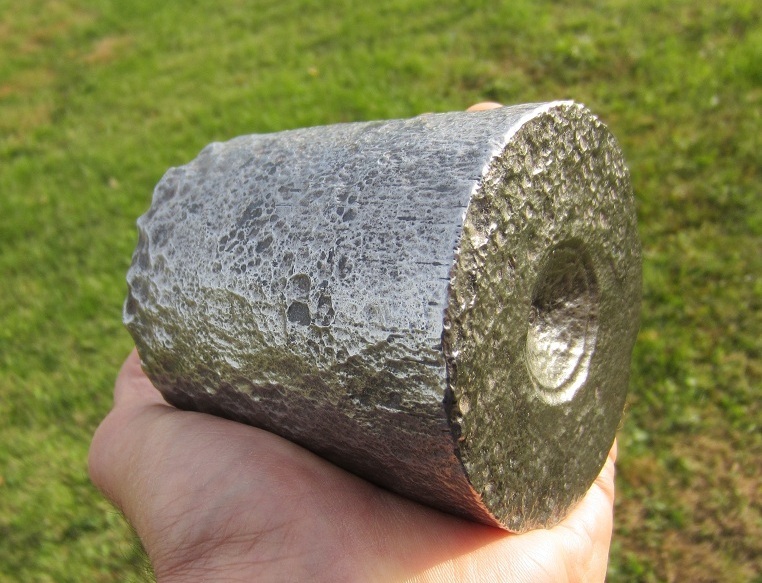 I found this very rare 1800’s cylinder ingot in the creek, rusty, and set it on a rock with a cool looking firebrick and forgot about it and then realized what it was and went back for it a week later. Luckily it was still there. Not signed, but weighs 7.5 pounds exactly. Quite a nice grade, I’d say Grade I. Maybe in a few years I can have an endcap pyramid of these like at the grocery store. 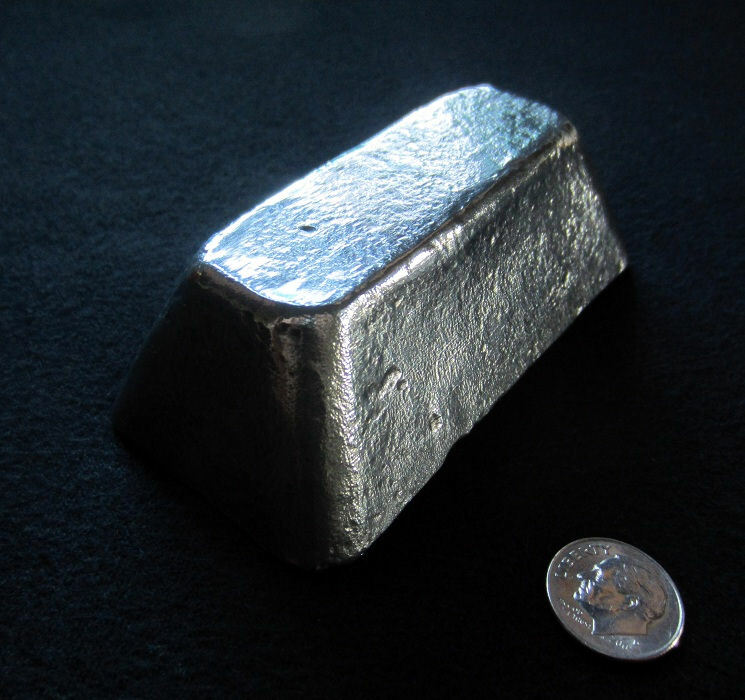 This was quite a surprise, a 2.5 pound bar ingot with the number 60 hand stamped into it and a single ‘dot punch.’ I take the single punch to indicate possibly Grade I iron, but the number could have different meanings. Year? (1860?) Batch or client identification? Sure is a beauty, (if only it were gold.) Interesting finding a 7.5 pound cylinder and a 2.5 bar, both together weigh 10 pounds. 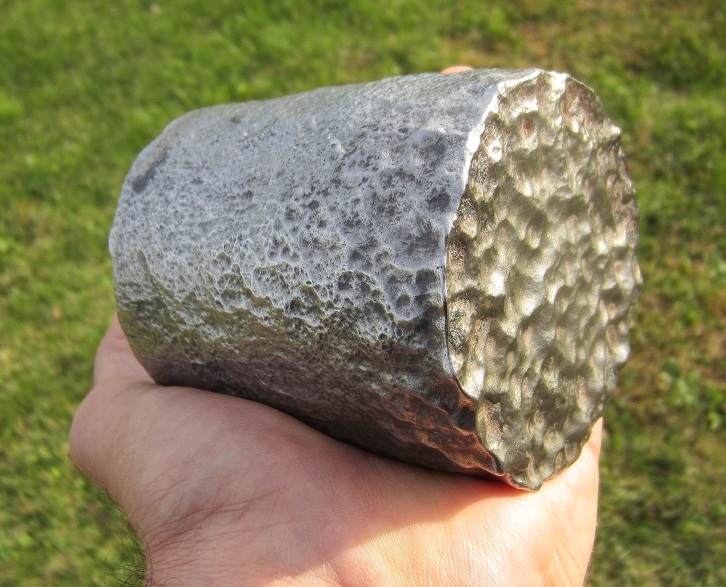 I wonder if a 20 pound ingot exists. There’s always next summer to find out. 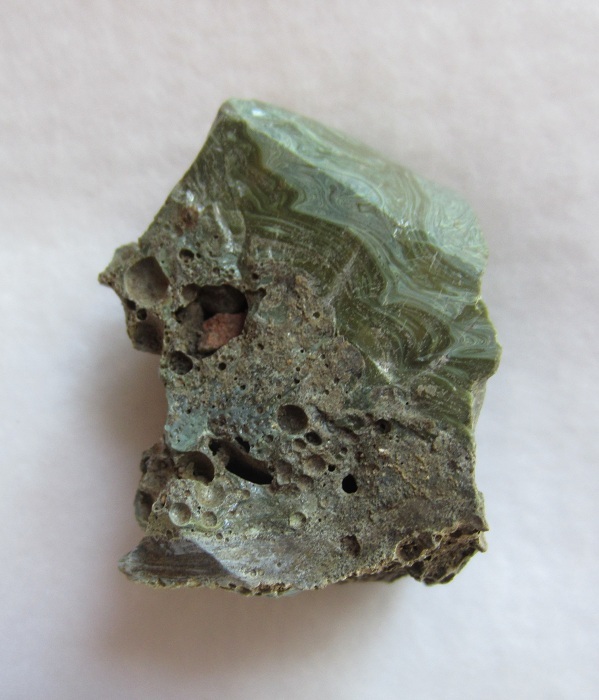 This piece was found within 20 feet of the bar ingot. It’s almost 4″ thick and is 9″ x 8″ across. 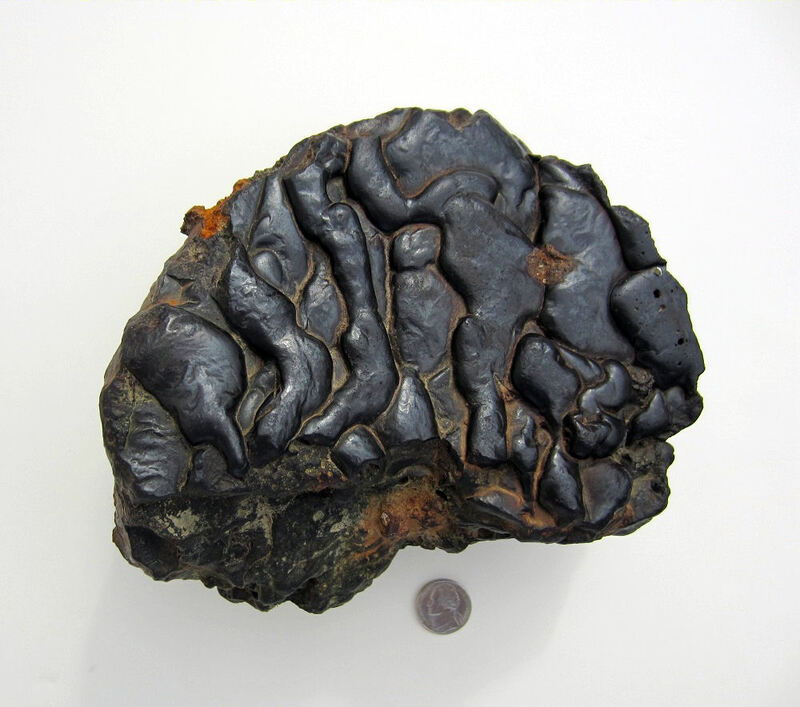 Don’t know whether to call this ‘Brains,’ or what, it does have some very interesting shapes. 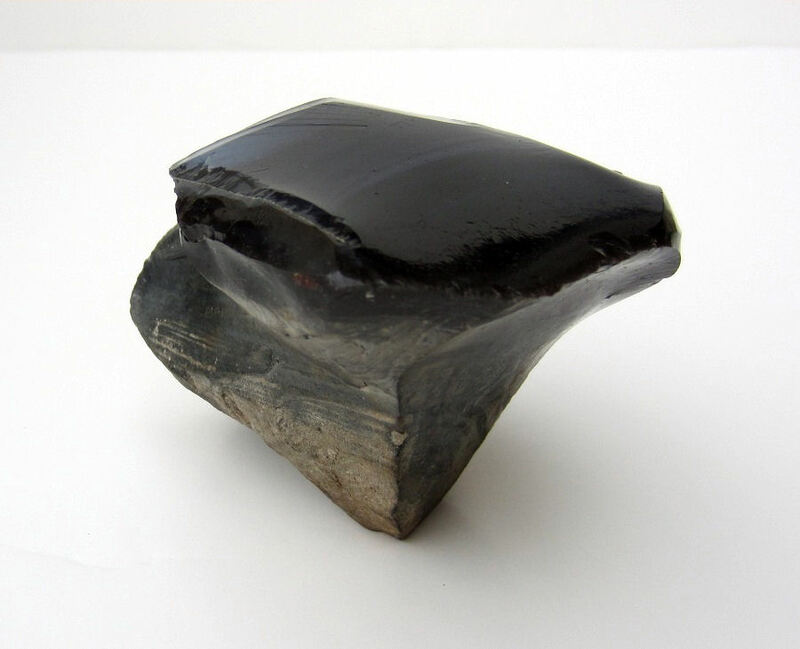 This is not easy to find, a piece this large, with the original surface as it hardened. 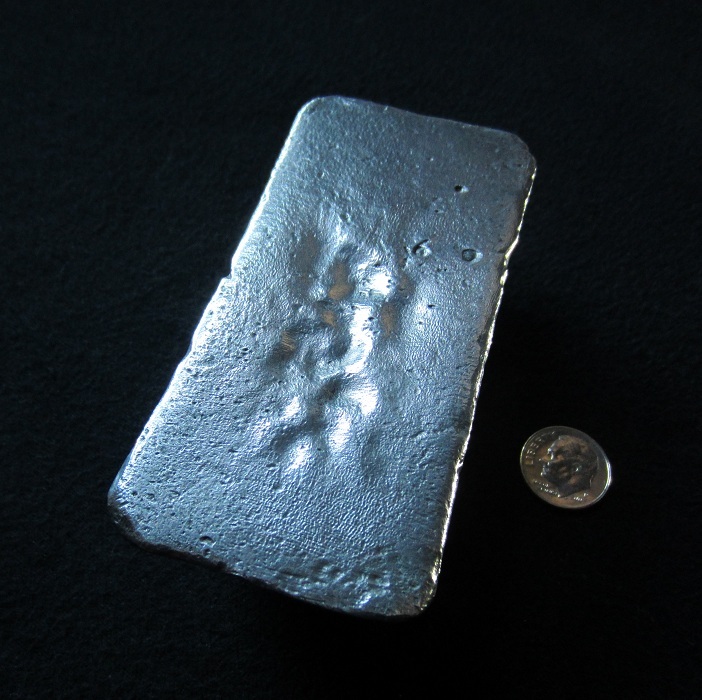 I think this would be Grade II as photographed silver when cleaned, it has since turned a beautiful pewter tone. 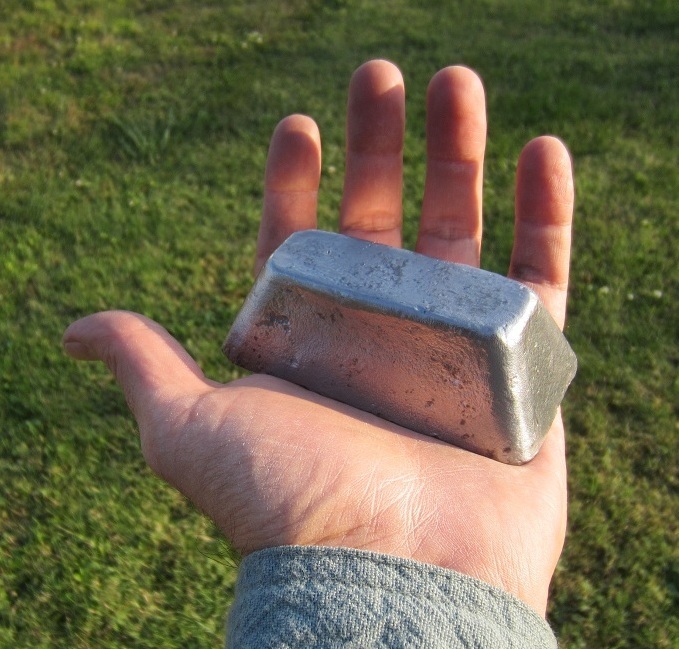 Running your hand over it is very interesting, extremely dense, yet so soft. A very interesting abstract piece with amazing texture. This is one of my absolute favorite ARTifacts I found. I was rinsing a piece of glass in the clear water and this was staring up at me from the bottom. It’s 8″ high and 4″ x 3″ thick. I picture this on a nice stand in an art gallery. Imagine Picasso or Joan Miro meet an 1800’s iron blast furnace. Here’s an abstract beauty telling me (preaching to the choir actually,) the anquish of pure live energy painfully condensed into physical form. I am having a stand made, or will make one myself. 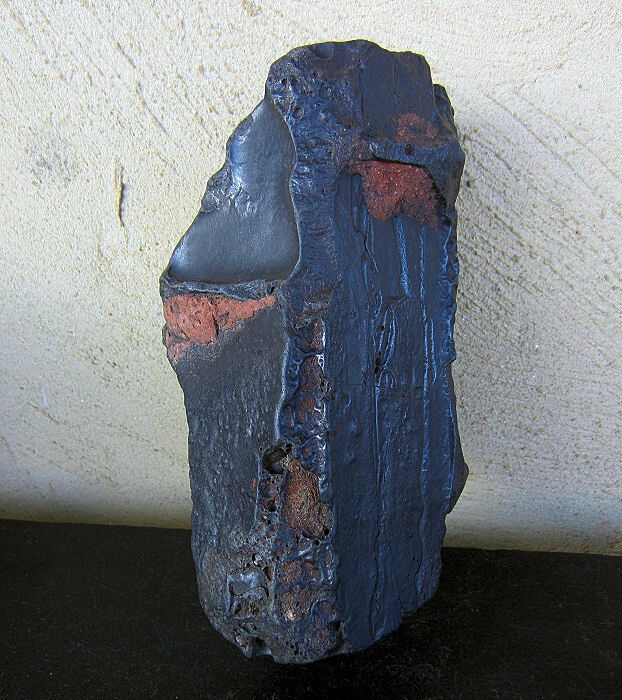 This is Grade III iron, judging by the brown color, or beyond that, being waste. It’s very solid on all sides and appears to be molded in a corner of bricks already coated with iron. An incredible industrial and yet unintended sculpture. One eye appears to be crying tears. I learned that early in the antiques business, so I’m going to leave this turd exactly as it is. 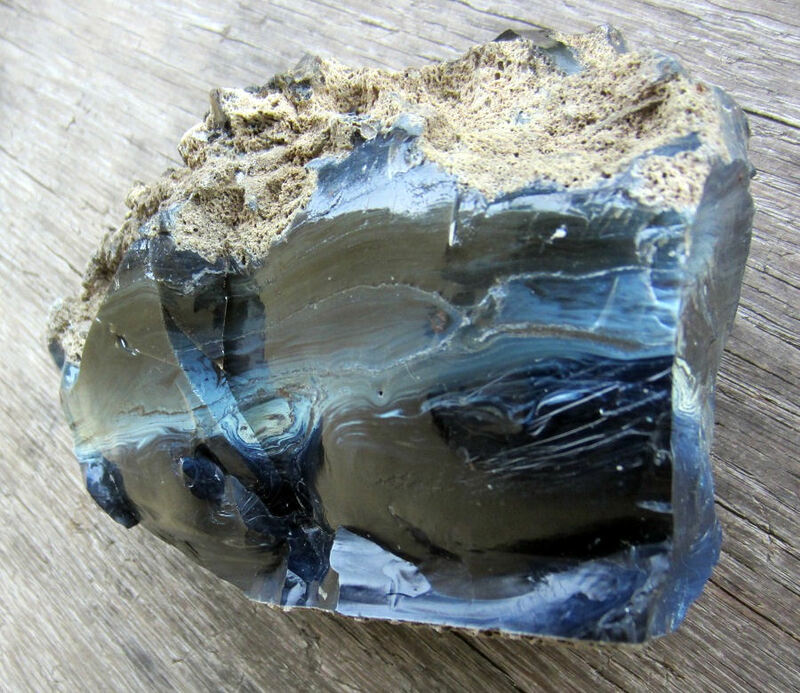 My first large piece of surface slag. Great doorstop, just don’t stub your toe, this 8 pounder isn’t moving. 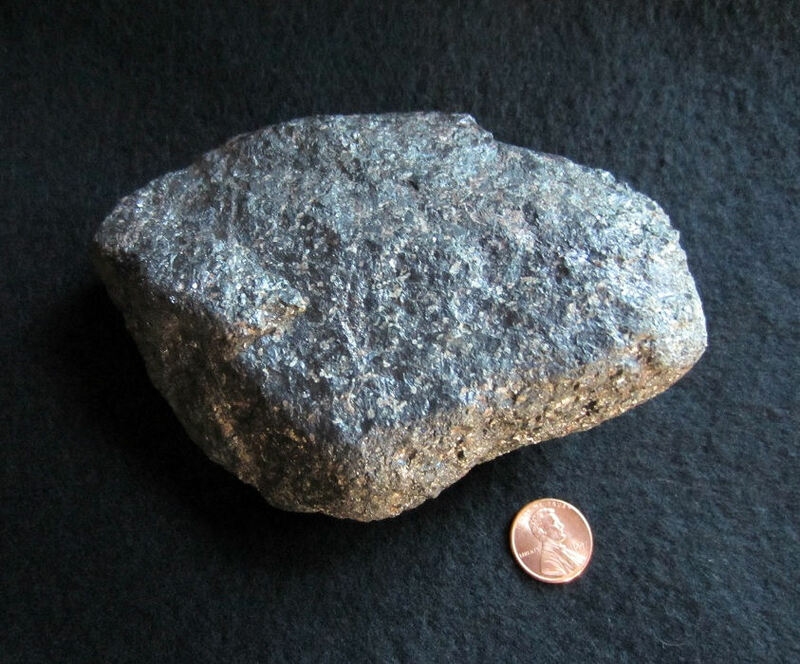 This is a great 5 pound example of what was the main ingredient in getting raw ore to a pig iron form to be remelted and forged at a Blacksmith’s or at a rolling mill to make railroad tracks. It could be the iron woodstove or the frying pan placed on it. 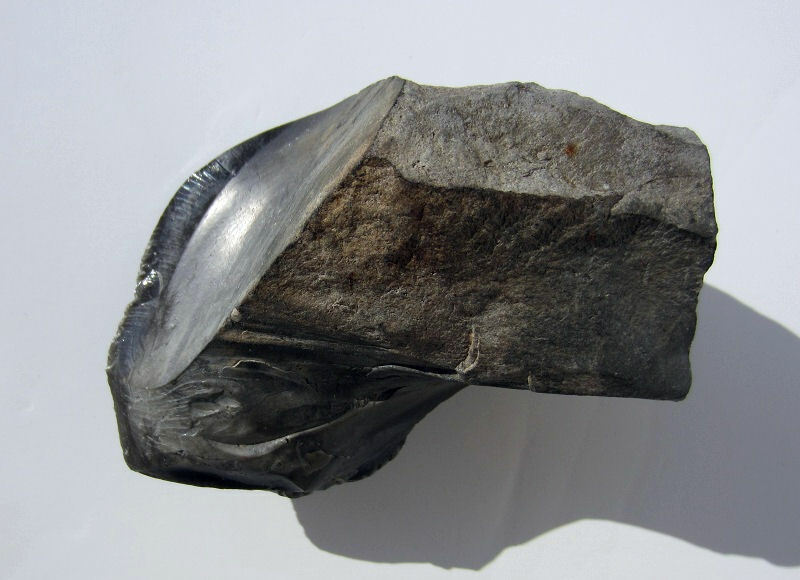 Once made, iron was used in those days as we use petroleum these days, for everything. Curiously, this was the only example I’ve managed to find thus far. 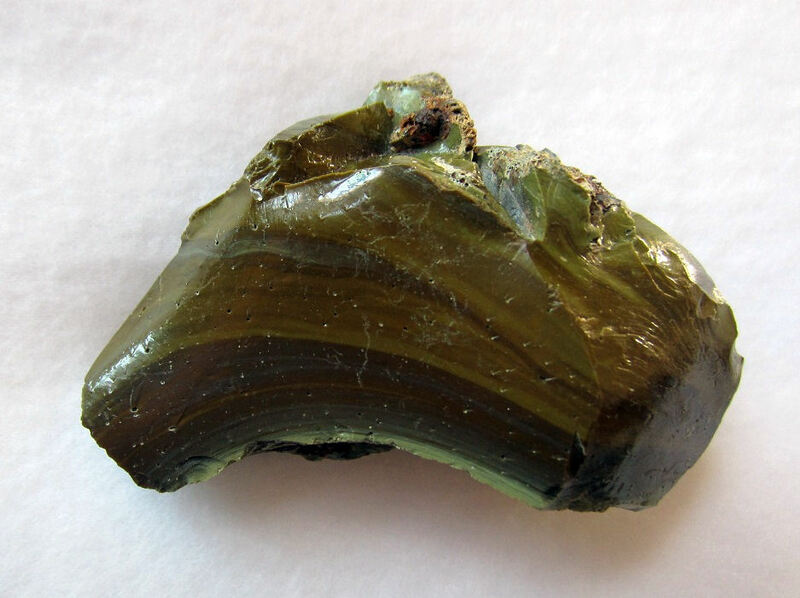 It does and should resemble a piece found in outer space, iron being a mineral oxide. 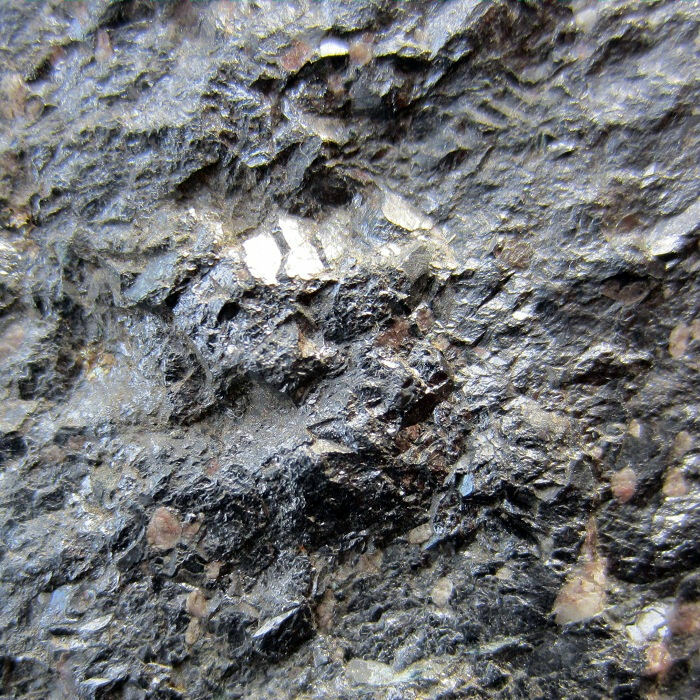 Below is a detail photograph of the surface. There’s so much found that this is going to be quite an ongoing project to get it all on here, but I’ll start with a couple of interesting pieces. 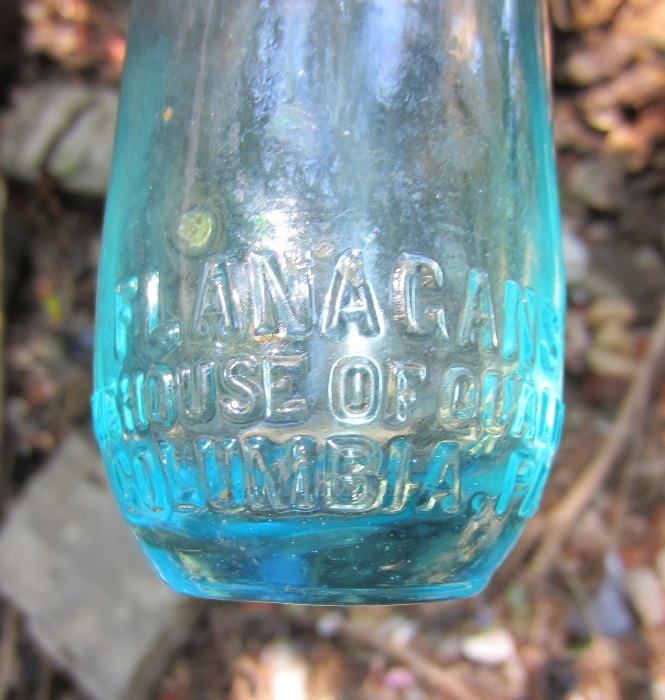 Look at that, just sitting there, (it really was,) a scarce Hire’s Root Beer bottle owing to the fact that it has another company’s name embossed on it; FLANAGAN’S HOUSE OF QUALITY, COLUMBIA PA. 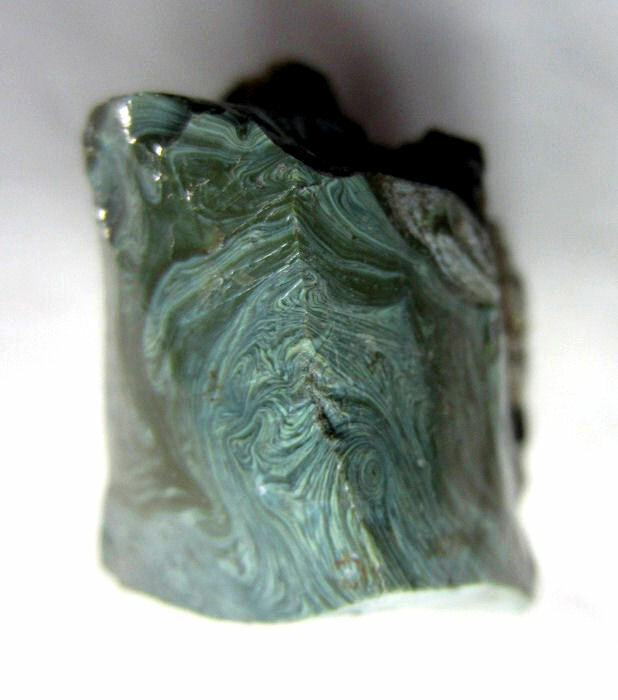 The top is a very tooled crown and the color is an amazing bright aqua. I have been told that’s there’s only two molds like this, this one which features Flanagan’s and another which I have not seen. Hire’s only did this with two companies. A little rinse in the creek was all it needed. Note the big potstone in the pic below. This is the largest complete bottle I found. This fit easily into my backpack, but the next interesting collectible did not. It didn’t fit into my car either. I had to hide it and go find someone with a truck. 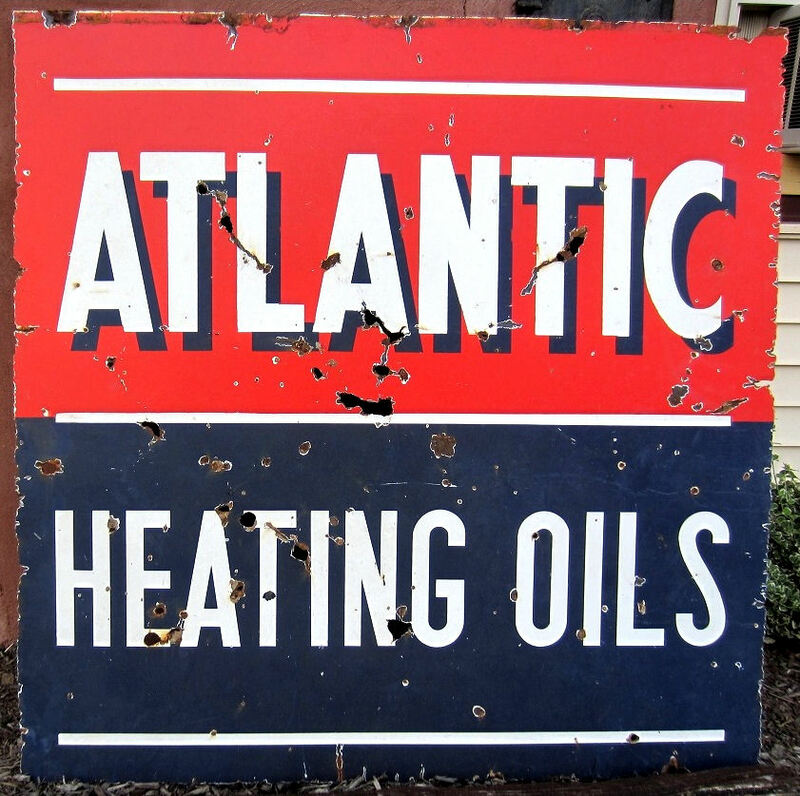 A 1930’s ATLANTIC HEATING OILS sign in perfect condition is worth just over a grand. So this one, in it’s cool ‘shot up’ and creek worn condition is still valuable and can be restored, but I like it just the way it is. It “turned up” after some serious rainfall had flood washed the creek. Very heavy and large at 4 foot square and just over 39 pounds. I saw it across from a distance after a storm and thought it was a real estate sign. Until then, keep your powder dry and your walkin’ stick well insulated for the winter.